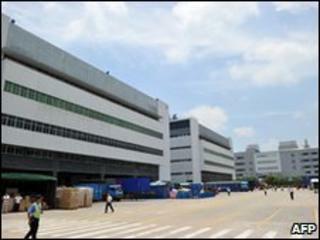 The owner of a Chinese electronics factory where several employees have committed suicide is to increase wages by 20%. Taiwan's Foxconn Technology, which owns the factory in Shenzen on the Chinese mainland, announced the move on Friday, in an apparent attempt to boost morale. On Thursday, another suspected suicide took place at the plant, which would be the 10th suicide there this year. The plant makes electronics for companies including Apple and Dell. Two other customers of the plant - Nokia and Sony - have added their concerns over the suicides, while local media have questioned working conditions at the plant. Three more employees have attempted suicide at the factory, and another suicide has been reported in a separate Foxconn factory in the north of China. Entry-level workers earn about 900 yuan (£90; $132) a month at the Shenzen factory, where Foxconn employs more than 400,000 people. It is the world's biggest contracted supplier of electronics, manufacturing well-known products including Apple's iPhone. Both the company and Chinese authorities appear anxious to offset some of the negative attention caused by the suicides, with Chinese newspapers told to tone down their reporting of the incidents. Meanwhile the chairman of Foxconn, Terry Gou, led media on a tour of the factory and promised to do more to prevent further deaths.